Frasers is developing a new retail option that will strive for the crown of most sustainable mall. 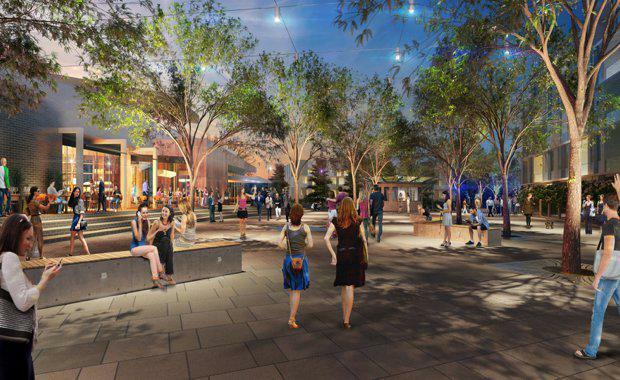 The $115 million Burwood Brickworks Shopping Centre in Melbourne's eastern suburbs, will reportedly grow its own fruit and vegetables, recycle rain and waste water, and generate enough power to sell electricity back to the grid. According to the Australian Financial Review, the green initiatives will create a substantial overhead but Frasers head of retail Peri Macdonald told the AFR he is confident that the mall will generate high levels of revenue through the longer times shoppers will spend in its appealing environs, and this will recoup the higher turnover. According to Frasers, The Burwood Brickworks neighbourhood shopping centre will underpin their blue ribbon 22 hectare residential and mixed use development. Located approximately 15km east of the Melbourne CBD, the new community will consist of up to 950 dwellings housing over 2,000 new residents, open spaces and a civic boulevard fronting the integrated retail centre. The new shopping centre will provide in excess of 10,500m2 of retail and convenience space including a 4,800m2 flagship supermarket with 1,400m2 full-line liquor offering. There will be approx. 3,400m2 of specialty shopping space, including a dining precinct as well as street level and basement car parking. Upon completion, the centre will also offer a range of convenient community non-retail facilities including a 100+ place childcare centre, a large gymnasium and a medical centre to meet the demand of the increasingly populated trade area. "Many aspects of the project will change the way retail malls are developed in the future. We think it will force everyone to rethink their plans," Mr Macdonald told the AFR. The mall, was designed by a consortium that included architects DWP|Suters, engineers Aurecon and builder Watpac. According to the AFR, design features of the prefabricated mall include the use of sustainably-sourced laminated timber, rammed earth and recycled bricks along with 3900sq m of billabong plantings and 2000sq m of vines. “These will complement energy-saving features such as solar panelling capable of generating 1.2 megawatts of power, a solar invertor to cater for the future provision of battery storage and a commercially-operated 2000sq m urban farm,”the AFR said. "We are trying to push people to do more and re-think sustainability, to think of it in a holistic sense and take inspiration from nature," ILFI chief executive Amanda Sturgeon said, in preparation to review plans for the Frasers mallShe told the AFR that key characteristics of living buildings were that they generated their own energy, harvested, treated and recycled their own waste and did not use toxic materials in their construction. Construction on the mall is expected to commence later this year.